Murray Edwards College Council has announced that students’ rent levels will be raised by 2.4% in the 2019-20 academic year, in an email from Bursar Rob Hopwood, and Senior Tutor Dr. Kate Peters. This comes after the Big Cambridge Survey found that Murray Edwards is the second most expensive college in Cambridge, currently charging students between £1600 and £1900 a term for accommodation. A survey by Murray Edwards Student Collective in November last year found that rent had a negative impact on the financial security of 47% of respondents. 57 respondents also stated that they had had to work in order to be able to afford college rent. Sharing the news on Facebook, the Cambridge Cut the Rent campaign stated that the decision “demonstrat[ed] their [the College’s] contempt for students”. Students at Murray Edwards launched their own petition in late 2017, calling for rent cuts and reduced bills, which was signed by almost a third of the College’s undergraduates in under a week. The College experienced further controversy over its accommodation issues last term. A number of students were moved into temporary accommodation while awaiting the refurbishment of a single staircase in college. 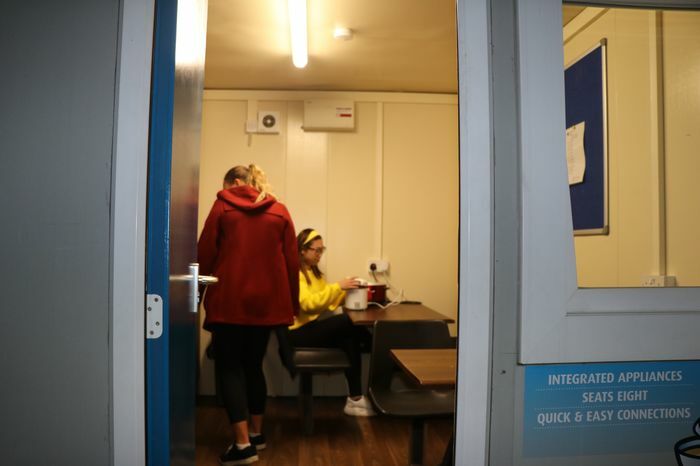 They were charged £1,375 each to live in bunkabins, as well as incurring costs of £40 for network and £233 for overhead charges, amounting to around £1,600 in total. The College responded by waiving the £40 network charge, but Cambridge Cut the Rent stated that the College had not addressed “wider students concerns with the price of rent”, adding that “affordable, decent housing should not be up for debate”. The open meeting on Murray Edwards’ planned rent hike will take place on Saturday 5th February, in the Buckingham House lecture theatre, from 5:30 to 6:30pm.